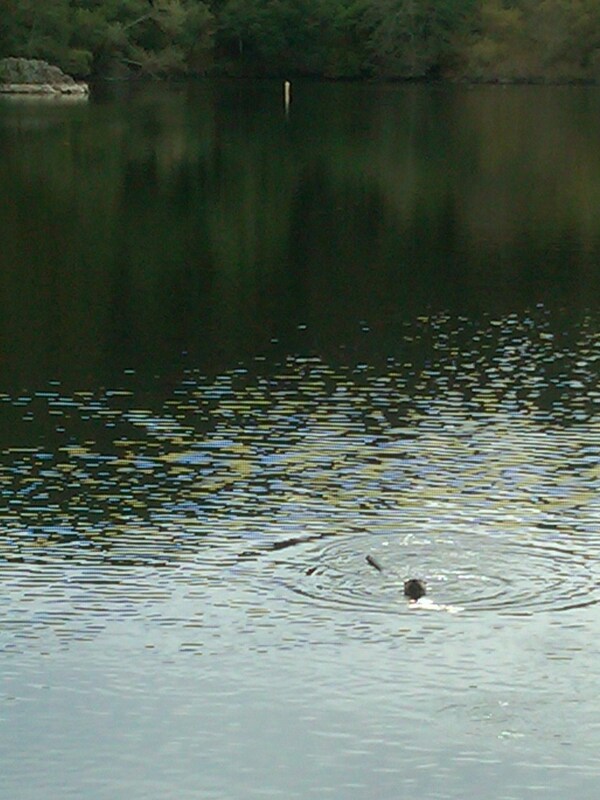 There’s an otter in Lake Anza! Park Rangers told us the otter was in Jewel Lake earlier this week after we mentioned watching it play and frolick and whatnot. Probably changed locations to get farther from the t-u-r-k-e-y-s that hang out behind the Little Farm. Little does the otter know, turkeys in Berkeley are safer than most this week. Happy Pumpkin and Potato and Chestnut and Salad and Bread and Dessert Day! This entry was posted in Feels like home and tagged lake anza, otter, tilden, tilden regional park. Bookmark the permalink. have a super turkey day Nap family! Cool otter! I have a beaver down the road who was frolicking about. The little furballs are cute. My boyfriend and I saw him there yesterday….and he’s a cute little guy. Does anyone know how he got there? Spouse said he and our two boys were there at the same time you were. Small world, eh? We went back today and didn’t see her. There’s been enough rain lately that the creeks have some water, but I don’t know if that means she came upstream or downstream. And I can’t find anything else online about this siting, and the rangers have no idea. Everyone else has said we made it up, so thanks for noting that you saw the same thing. Guess we’re just lucky? Hope he or she is doing well and found a safe place to frolic.